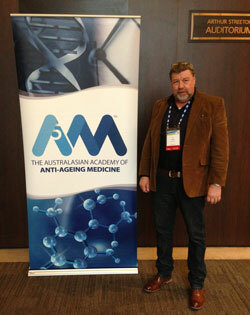 Dr John F. Arbuckle MB CHB (Glasgow) FFMACCS MCPSA has been practicing cosmetic and anti-aging medicine since 1998. Based on the Gold Coast, Queensland, Australia for the past twenty years, Dr Arbuckless research, knowledge and experience has assisted thousands of patients in looking and feeling healthy. He belongs to various relevant medical colleges and associations and is a national and international speaker at major conferences. Dr. Arbuckle performs a large number of minimally invasive cosmetic and cosmetically orientated procedures all performed at his private clinic. Unlike many of his colleagues, Dr Arbuckle performs all procedures himself, he does not delegate to assistants.